Take Flight: Escape, Leap, Start. 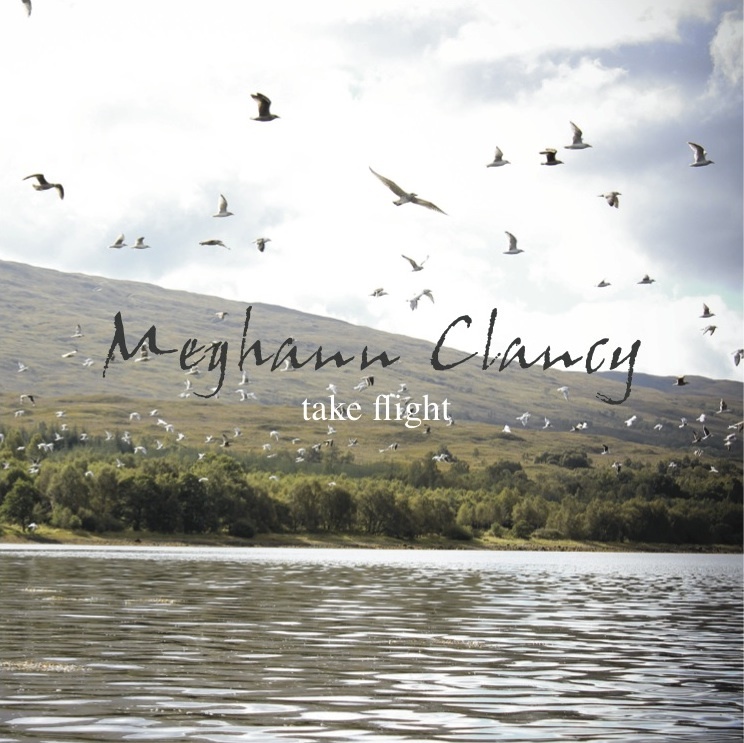 This album hosts a collection of songs reflecting Meghann’s life experiences over the last few years; songs which represent such rites of passage as growing up, leaving home, falling in love, and making difficult decisions to move on with life. Over the course of 2012, Meghann has collaborated with some exceptionally talented people, resulting in the creation of this album, and would like to say a massive thank you to everyone involved: Liam Gaughan, Carl Griffin, Katie Hall, Luke Waterfield, Alex Campbell, Jessica Bell, Milka Syntia, ODM Ltd, Base HQ. Finally, a huge thank you to everyone who has shown their support in any way, especially family and friends who have been there from the beginning. Thanks to everyone who has listened and shared the music, and attended gigs – for that I am ever grateful. We had a blast making this album…hope you enjoy listening! This song narrates an early romantic relationship: meeting, falling in love, learning things are not perfect but wanting to make the effort to work at them. Why did you open my eyes? I wrote this song during the early stages of making the album; to me it was a bit of a wake-up call, that even if something is going to be difficult, you just have to get on with it. What happens when there's no time left? Have I missed my chance? Have I said too much? But does it matter anyway? I was inspired by the story of a friend to write this song; it is essentially about two "star-crossed lovers" who just couldn't make a relationship work due to external forces, even though they wanted to be together. When will I find what I'm looking for? When will our single worlds collide? Will my inner pain ignite once again or can I let him go? How can I forget about you when you're always in my heart? Did you know, did you know that I try not to talk about you? Did you know, did you notice that I'm always thinking of you? Title pretty much speaks for itself, you work out the rest! Talk - is that all you do? Are you playing with my heart again? Stop playing my heart before it breaks. Are we in too deep? I often find writing songs cathartic, and this is certainly one of those songs whilst anxiously awaiting a resolution. What course of action would you condone? When I was 21 I lived in the USA for a year, and though I had an amazing experience I did feel home-sick for the rainy Yorkshire Dales from time to time. This song was inspired by the story of a young person, initially feeling defeated as a victim of bullying, but then fighting back and coming through the other side a stronger person. It is also where the name of the album comes from. Should I fight my through or just give into you? Walk the road or wander off the track?